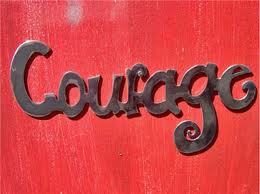 There will be incidents and individuals who will test the courage we so wish to use. For example, someone will share a case of injustice. Often times we say, “If only I was there,” or ,”If it were me…” We go on an imaginary rampage in the shoes of the wronged, and profess a speech about all the ways they would have stood up for themselves, made a their point, and were brave. And sometimes, it really is you.